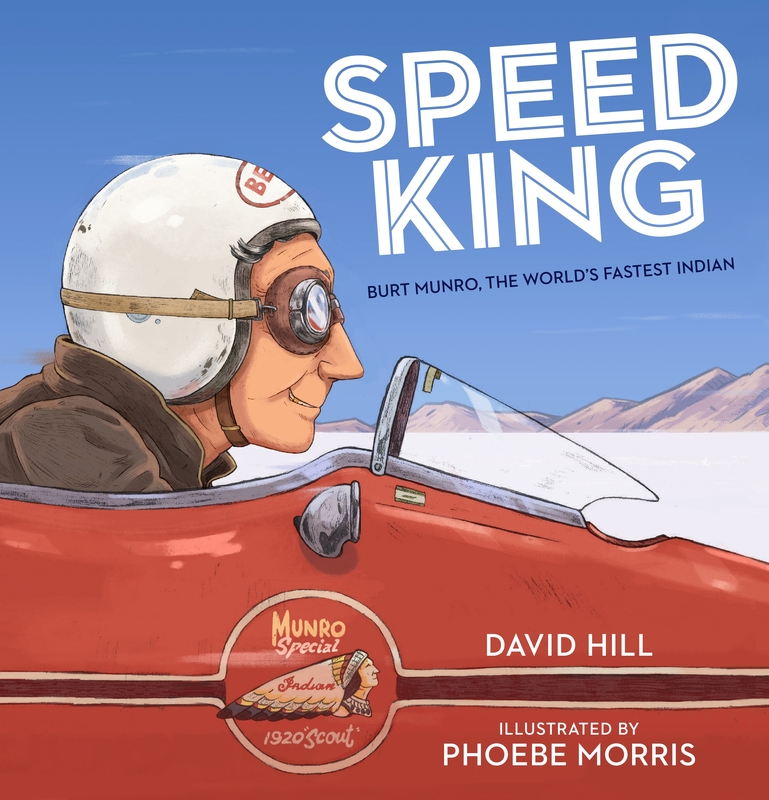 Meet Burt Munro, an unknown, elderly New Zealander whose obsession with setting a world land-speed record at Bonneville on his ancient Indian motorcycle made him a Kiwi legend. In 1967 an unknown, elderly New Zealander and his ancient Indian motorcycle set a world land-speed record at Bonneville. The man was Burt Munro, and he became a Kiwi legend. How did he do it? His amazing true story is now a stunning picture book. The red bike blurs past. How fast has Burt Munro gone this time? The moment young Burt Munro saw a motorbike chugging down a quiet Invercargill street, he was hooked. More than fifty years later, he and his ancient Indian motorcycle would amaze the world by setting a land-speed record — one that remains unbroken to this day. Burt didn’t have much money. He wasn’t young. But he was determined. And he became a Kiwi legend. A wonderful true story about a very unlikely New Zealand champion, by the award-winning author and illustrator of First to the Top. Love Speed King? Subscribe to Read More to find out about similar books.